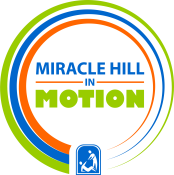 Make miracles happen by donating to Miracle Hill in Motion. Miracle Hill Ministries is the Upstate’s largest, most comprehensive provider of services to homeless children and adults. Serving the Upstate since 1937, Miracle Hill’s programs include rescue shelters for the homeless, residential addiction recovery, transitional housing, shelters for children, and foster care. Miracle Hill’s eight thrift stores provide employment opportunities for the community as well as Miracle Hill guests transitioning out of programs. Miracle Hill has been recognized as a Certified Mission and has been awarded the Certificate of Excellence by the Association of Gospel Rescue Missions (AGRM), a distinction given to fewer than 30 missions nationwide. Additionally, Miracle Hill’s foster care program and group homes for children have been accredited by CARF International. For more information about Miracle Hill, please visit www.MiracleHill.org or call 864.268.4357.